Hope Bird is part of a series of paintings featuring whimsical birds. Each painting in the series has some text, describing the message the bird wishes to convey. 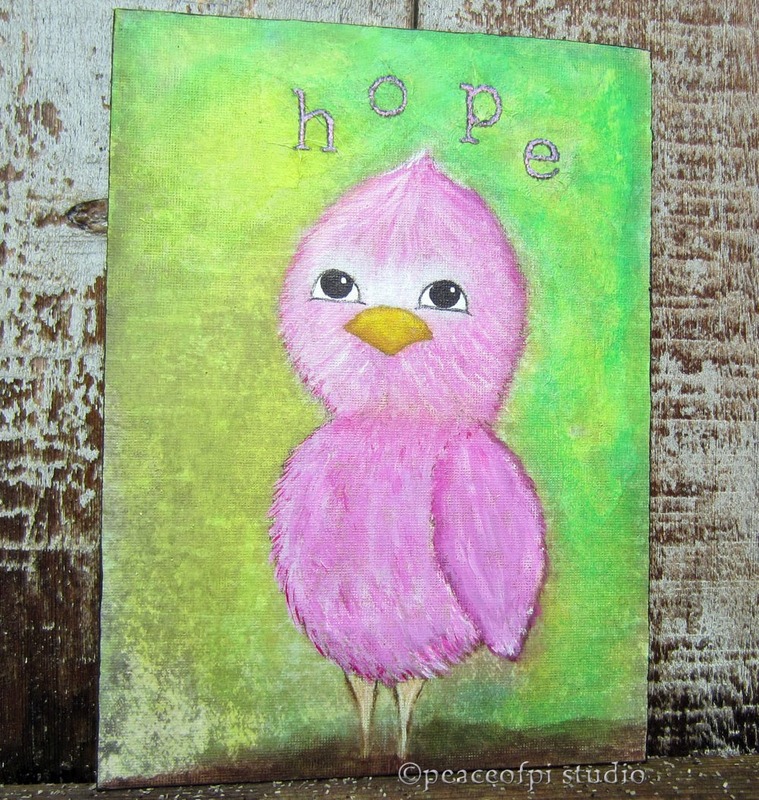 This bird, painted in acrylic, has pink feathers and a hopeful outlook. The bird's expression and posture is meant to inspire all the positive meanings and associations of the word hope.